The main topic of this project is the relationship between me and my father, Milan. He is an inventor, while his creativity is expressed in unusual objects which are aiming to improve everyday life. Many of his improvements are made regarding his own built greenhouse. For example, ones he connected the greenhouse with a pipe from the gas heating of our home, to heat up the greenhouse with steam to be able to grow plants during a cold spring. 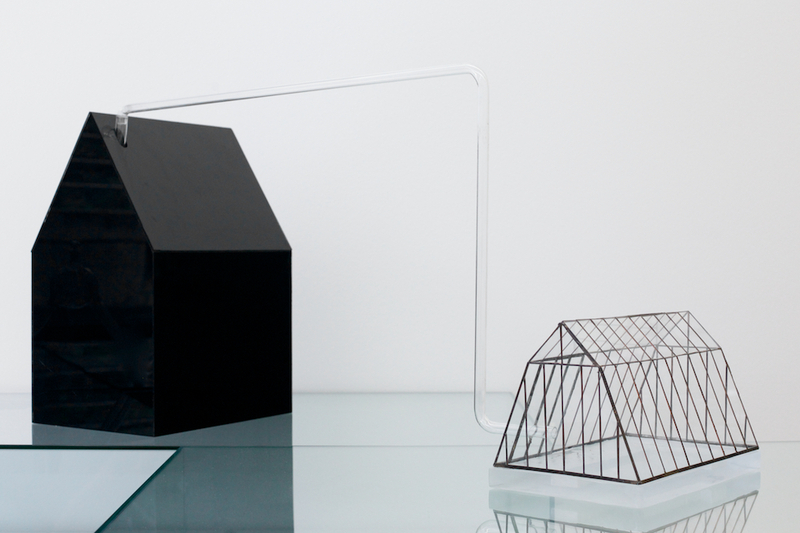 The transparent greenhouse is a place for growth and the black house is place of personal family memories. The combination of these two objects plays with the idea, that the expression of my own creativity is strongly connected to that one of my father and my roots.